Samsung is currently updating a bunch of its Galaxy handsets with the latest Android 6.0.1 Marshmallow OS. However, not all of them have been receiving the update at the same time, with one obvious reason being their different dates of release. Samsung Galaxy Note 5 and Galaxy S6 Edge+ users were the first to see this update hit their devices thanks to the fact that they were the last flagships to be released by the company in 2015. The trend has been followed for other models including Samsung Galaxy S6, S6 Edge, Note 4 as well as S5. However, there is one problem with Samsung – a problem the company seems to be taking care of with the upcoming Samsung Galaxy Note 6. Samsung usually unveils the same device with several model numbers depending on the region they are being shipped to. As a result, the rolling out of updates has occasionally been delayed, with some models receiving the update earlier than others. This has affected the entire Samsung Galaxy Note and S series, including 2014’s Samsung Galaxy S5, which was also released in several variants. Apparently, those using Samsung Galaxy S5 LTE-A had not received the Marshmallow update – an update that started hitting Galaxy S5 units somewhere last month. Samsung has dominated the smartphone world with its excellent devices, be it in terms of performance or even display. The latter has even seen rumors surface claiming that Apple will be sourcing OLED panels from the South Korean company for its 2017 iPhone. This quality began back then with the release of Samsung Galaxy S5 LTE-A, with the phone becoming the first ever Samsung Galaxy phone to feature a QHD display panel. Apparently, the SM-G906K model’s update was made available as from May 9 and it bumps the build number to G906KKTU1CPE1. This model number of the Galaxy S5 LTE-A is exclusive to South Korea. 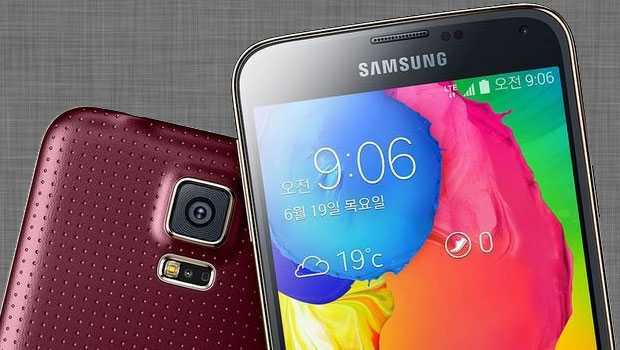 As far as the European variant of Samsung Galaxy S5 LTE-A is concerned, the update is already rolling out. In case you didn’t know, this European variant is known as Samsung Galaxy S5 Plus. In a report put forward by Sam Mobile, the leading carriers in South Korea have already started rolling out the update to this device. However, the update will not reach all units at the same time. Since the update comes as an OTA, watch out for the notification from your carrier. If this is too much for you, go to Settings>About device>Software update>Check for updates and you will be notified whether the Marshmallow update is ready to be downloaded to your Samsung Galaxy S5 LTE-A. If not, you will have to wait for the OTA update. Previous Previous post: Sony Xperia Z5 vs. Xperia X – Is it Really an Upgrade?